Military Situation In Northwestern Syria On January 13, 2019 (Map Update) 6.6666666666667 out of 5 based on 3 ratings. 3 user reviews. This map provides a general look at the military situation in Syria on January 13, 2019. Hyat Tahrir al-Sham (formerly Jabhat al-Nusra) is currently working to consolidate gains, which it achieved during its recent advance on Turkish-backed militant groups across the Idlib de-militarized zone area. Where are the Chinese Oghur Turks? Have they been defeated and sent away or killed? Sorry is this Déjà vu, maybe more like Groundhog day. Right Syria, you have exactly 1 week to let them fight it out and until HTS becomes fully stretched, but covers the whole Northwestern green blob and then you will go in “all guns blazing” and eliminate them all…….. if not, I am going to be jolly angry and you know you don’t like that. 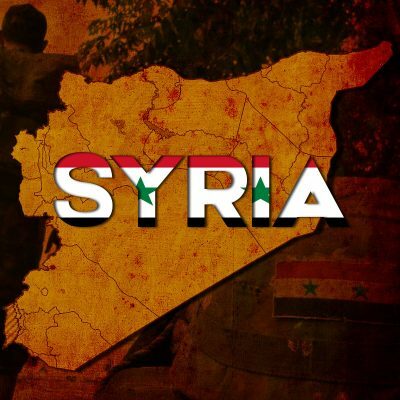 Our people on the ground reporting, that the ones stopping the syrians going in, are the russians. And they started telling us this couple of weeks, after the battle outside the golan area was finished and SAA began to move towards idlip. I think those days have now gone abu. The World is watching and everyday that passes has a negative impact on Russia (militarily). 1 or 2 days to go, don’t panic, let the Russians enjoy at least a one week Christmas break, they deserve it. Russian xmas 7 jan.
Russian Santa’s running late, Russians usually give presents on new years day, but because these guys aren’t even Christians that won’t matter, Russian Santa’s still on his way there right now. But this year he’s breaking his own tradition, he’s taking 2 bags of presents, one for all the good Syrian boys and girls, and another one for the naughty ones, Russian santa thinks they deserve some presents too this christmas. What the world is going on? How did HTS suddenly get so powerful? What foreign country has been pumping money and arms to this militia now, when the war is almost over? It can only be a Saudis or Israel, and Saudis work for isreal.